He may be Lyttle by name, but he is definitely not little by nature. As his year as Musician-In-Residence of Derry-Londonderry's Nerve Centre nears its conclusion, Waringstown-born songwriter, producer and jazz drummer David Lyttle has an intimate treat in store on his return to the venue: a two-hour plus cocktail of musical genres performed by he and a host of collaborators in comfortable surroundings. It is a warm and winning antidote to the wet and stormy conditions outside, a night of experimentation and entertainment from both the MOBO nominee and his "supporting cast", so to speak. Of course, being a generally experimental night, there aren't all that many sing-alongs (to put it mildly! ), but this is of no detriment to a gig which mainly earns its power through surprise and spontaneity. The overall vibe of the night is familial, eclectic and at times delightful, with more than a handful of catchy tunes to be heard, discovered and enjoyed amidst sometimes exceptional musicianship in friendly atmospherics. We begin with the rhythm, keys and strings of Lyttle, John Leighton, Daniel Millar and Jamie King backing up Leanne Doherty's soulful, sultry singing. This nicely balanced performance is followed by a effervescently charming Roisin Donald, a SOAK-y prelude to the arrival of up-and-coming jazz guitarist Joseph Leighton. Playing jazz music at such a young age, as Lyttle comments, is always a challenge, yet alongside both Lyttle and John Leighton, Joseph Leighton acquits himself superbly. 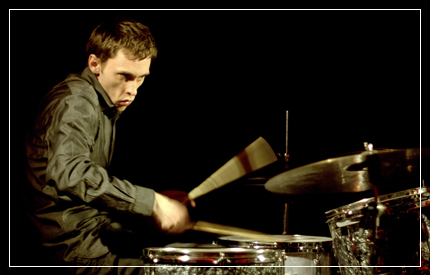 While Lyttle and the older Leighton are pivotal and concentrated during the next three jazz numbers, the younger Leighton is prominent and relaxed, establishing a unique on stage presence through casual appearance and understated instrumental command. From jazz, to hip hop and rap, as local rapper and actor Eaman Craig, performing as Air Drama, briefly enjoys his moment in the spotlight with his own brand of passionate, poetic rhythm. The passion continues into a pair of fine solo numbers from Glenn Rosborough, featuring strong, clear vocals and nimble guitar playing. John Deery is equally impressive, but in a different way; his soothing tones are the welcome breather everyone needs before the arrival of pianist extraordinaire, Neil Cowley. Aided by his backing, Derry-based songwriter Jessica Doherty gives a hypnotic performance, her calm, measured projection exuding elegant, affecting vibrancy. It is then left for Cowley and Lyttle – both Musicians-In-Residence of the Maiden City at some point in their careers – to effectively improvise on stage with rhythm and keys. The speed, reflexes and adaptability of both artists are quite something; it's hard not to be dazzled by their extreme skill, dedication and poise, while also taking a huge amount of pleasure from the music itself. As good as Cowley and Lyttle are, however, perhaps the best is saved for last: a small set from Lyttle and Tony Wright, aka VerseChorusVerse, mostly drawn from their recently released collaboration, Say & Do. What we have here is simply a series of songs driven by percussion, guitar and above all, soul; this is undoubtedly the gig at its most energetic, the uncomplicated, stripped-down dynamism of both Lyttle and Wright elevating the already highly spirited audience. Of special note are an on-stage fade out (how often have you heard one of those? ), the funk in Seek And Ye Shall Find Blues, and the entirety of closing number Here To Break, defined by irresistible rhythm and inspiring refrains. "Inspiring" is certainly a word you could use to describe a year which has seen David Lyttle work, and work well, with so many musicians; tonight his inspiration to them has felt equally inspirational for us.